Horse and hunk is a one of a kind calendar with horses and hunks! The idea to create such a calendar came into being in 2009. 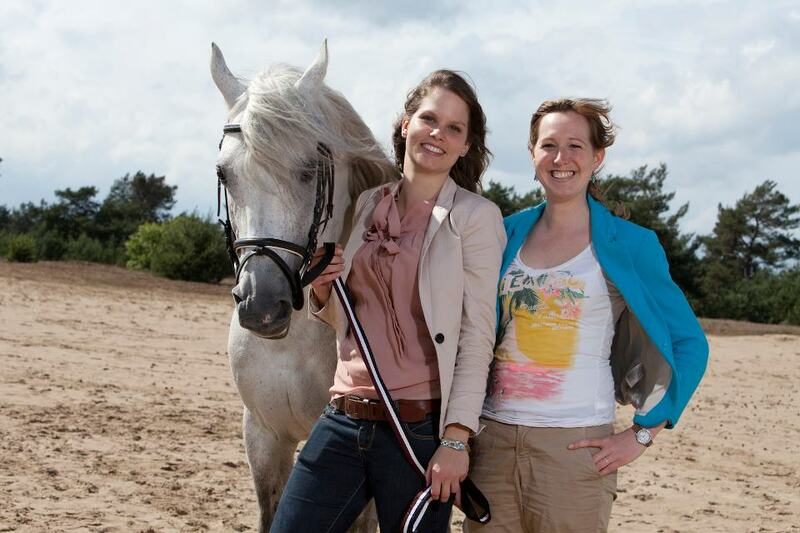 Students in the last year of equestrian business, of the Christelijke Agrarische Hogeschool in Dronten, were stimulated to develop their business skills and start a ‘student company’. The idea of a horse and hunk calendar was born after a brainstorm session with the group. A lot of calendars with beautiful women were already sold, however in our opinion, not enough calendars with hunks on it were sold at that time. Besides hunks, women also like horses and these two passions are brought together in the Horse and Hunk calendar, exactly what women want. Due to the success of the 2010 version of the Horse and Hunk calendar, the study company was declared the best student company in Dronten of that year. Since the first edition of the calendar, we donate part of the proceeds to the Brooke Hospital for Animals. The Horse and Hunk calendar started as a blunt idea of a couple of students. However, the project became a lot more professional over the years. One of the things I enjoy the most when working for Horse and Hunk is that we start with nothing but a clear vision about the final product that we aim to sell. Without any starting capital you need some creativity to realize your goals, and it forces you to work accurately. The big advantage of working without any budget is that the people that are involved in the project do the work because they like to do it. All the people we work with during the shoots are passionate and highly motivated, which leads to a really nice working ambiance. I am a member of Brooke Hospital for Animals since I was a little girl. They do incredible work for horses and donkeys in country where they need it the most. It fulfills me personally that we are able to share our success with charity, it keeps me extra motivated. At Horse and Hunk I am doing the daily work. From organizing the photoshoots, up to the spreading the final product to the clients and selling points. And, as you can probably guess, I ride my horse. I am active in competition with my mare, in dressage as well as eventing. Last year she got her first foal, a beautiful mare that looks exactly like her mother.